This study evaluated the number of comorbidities between two normal values of 25OHD in outpatients during 1 year of 25OHD measurements. Five hundred twenty-nine outpatients were included, patients with 25OHD ≥ 20 and < 30 ng/mL had the higher number of comorbidities, suggesting that for this specific population, 25OHD ≥ 30 ng/mL would be more appropriate. This study evaluated the comorbidities between two values of 25OHD in outpatients of a tertiary hospital. This is a cross-sectional study with measures of 25OHD in 1-year period, excluding 25OHD < 20 and > 50 ng/mL, clinical research participants, and liver disease and chronic renal failure patients. Patients were divided into two groups: group 1 (G1), 25OHD ≥ 20 and < 30 ng/mL; and group 2 (G2), 250HD ≥ 30 and ≤ 50 ng/mL. Medical records were reviewed for demographic, laboratory, and comorbidity data. From 529 outpatients included, 319 were in G1 (53.3 ± 15.8 years, 85% women), mean 25OHD 24.8 ± 2.8 ng/mL; and 210 outpatients in G2 (56.7 ± 16.0 years, 83% women), mean 25OHD was 36.8 ± 4.8 ng/mL. G1 had the higher number of comorbidities, including altered glycemia, dyslipidemia, hypothyroidism, urinary tract diseases, arthropathy, secondary hyperparathyroidism, anemia, and neurological and psychiatric disorders. 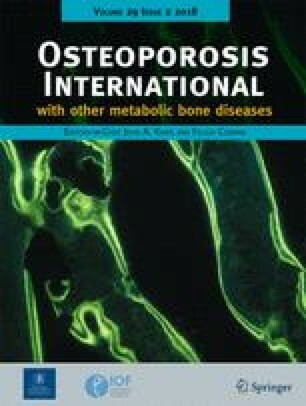 Osteoporosis and hypothyroidism were more prevalent in G2. 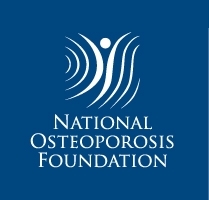 After binary logistic regression, the variables age (OR 0.988, CI 0.97–1.00, p = 0.048), osteoporosis (OR 0.54, CI 0.36–0.80, p = 0.003), dyslipidemia (OR 1.61, CI 1.10–2.39, p = 0.015), arthropathy (OR 2.60, CI 1.40–5.10, p = 0.003), anemia (OR 15.41, CI 3.09–280.08, p = 0.008), and neurological and psychiatric diseases (OR 3.78, CI 1.98–7.88, p = 0.001) maintained significance. Patients with serum 25OHD ≥ 20 and < 30 ng/mL had higher prevalence of comorbidities compared to ≥ 30 ng/mL. The study was approved by the research ethics committee (CEP-HC-UFPR), 46017715.0.3001.0096.